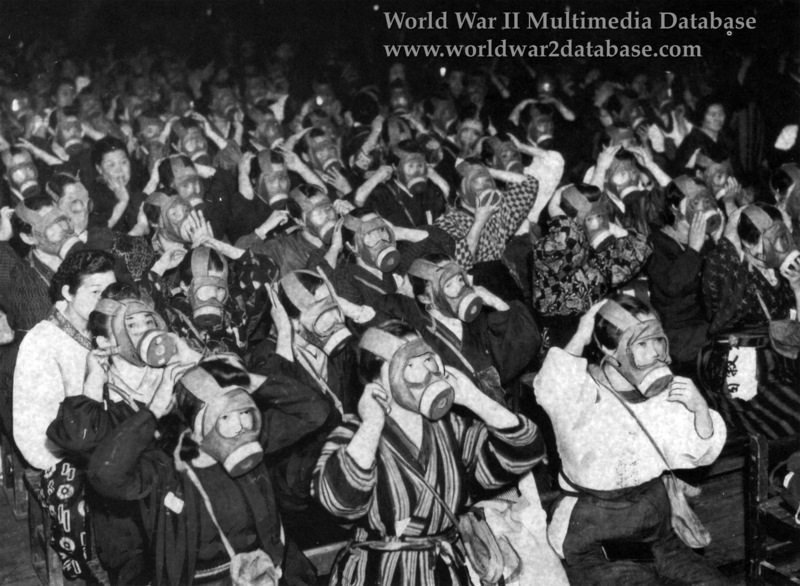 Osaka women receive instruction in the use of gas masks. They are using the Type 16th Year, Model A, which was made with rubberized canvas. While the mask was hard to get used to, made breathing and communication difficult, and made the user very hot, many civilians did not receive one, and had to make due with an improvised homemade mask during the fire raids.